I have never really been a brownie person, or a chocolate cake person. Chocolate desserts are usually made when guests come over, parties etc. Recently I had my daughters friends over so I thought I'd give a brownie a go, see what my family and friends think of it. I find it is a great recipe for me, as the ingredients used are things I always have in my pantry. So if you are getting unexpected guests, this is so quick to put together and you have a great dessert ready to have with coffee. This brownie was nice, it is actually not too sweet or too rich. 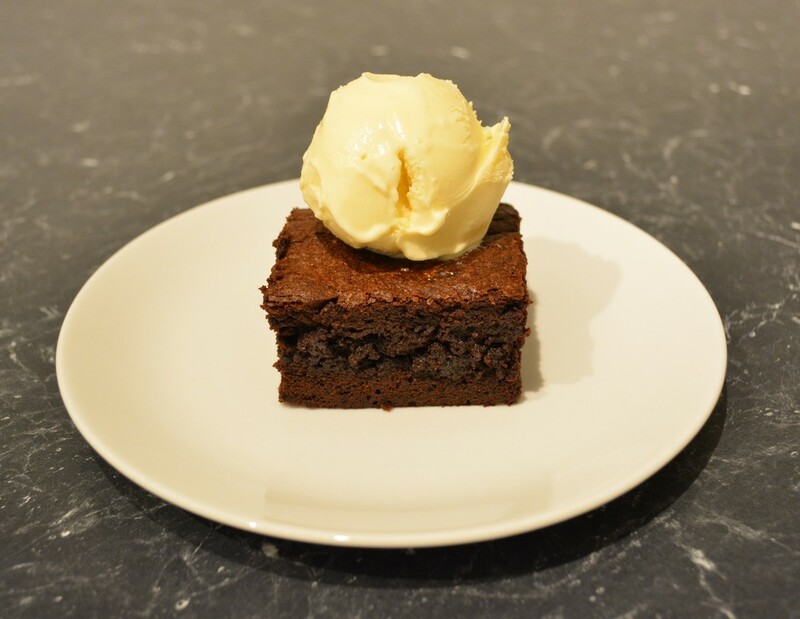 I myself would not eat it without vanilla ice cream, it is actually a must for me, the creaminess of the ice cream makes the brownie melt in your mouth, it really is a match made in heaven. 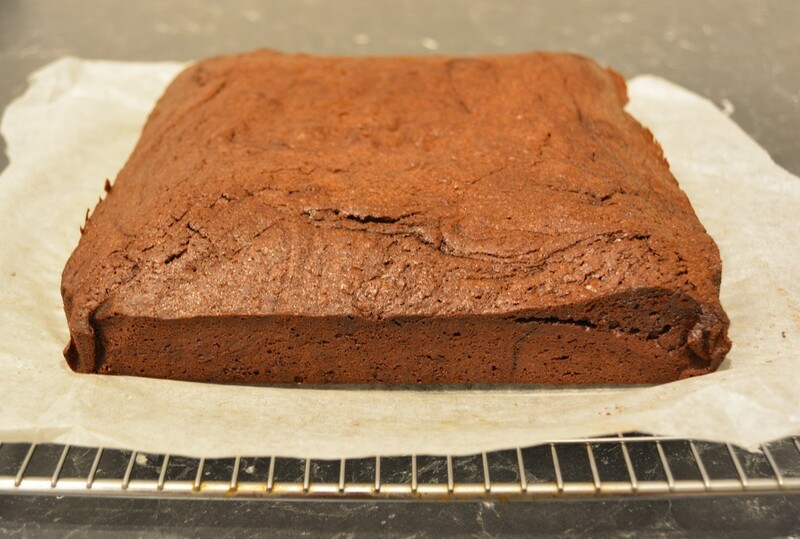 This brownie has a cake feel to it, not quite the brownie I expected, but it was delicious and worth making. 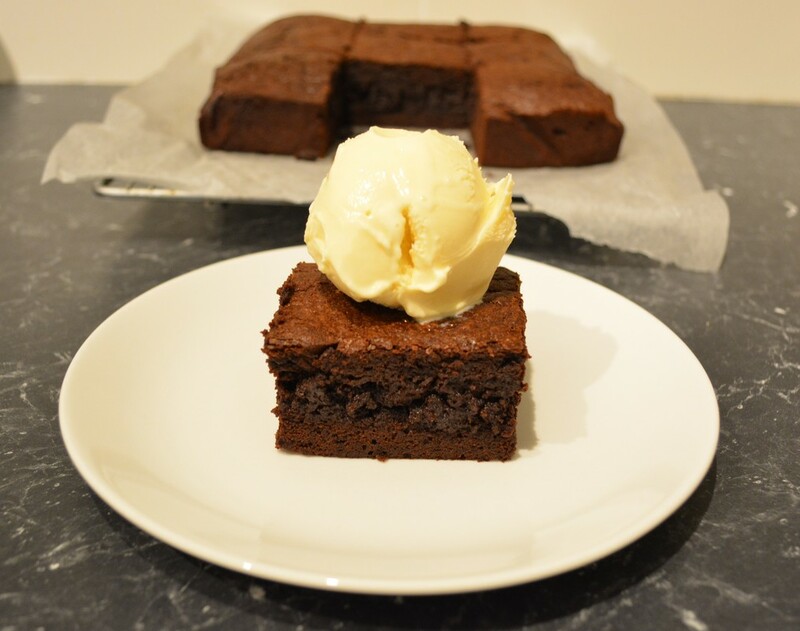 This brownie is a dessert brownie, served with ice cream and a strawberries, you have a nice dessert, with little effort. My kids ate it with ice cream and without ice cream, they loved it either way. My husband who professes to hate chocolate cake, ate 3 slices with Greek yoghurt, he said it was great with yoghurt. So give it a go, try it without ice cream, with ice cream, with yoghurt, whatever you prefer. The brownie is lovely. I have stated cooking time as 40-50 minutes, just start checking at 40 minutes, I touch the centre gently and it guides me how much more cooking time is needed until it sets. Then bake until it has just set. For me it is usually done in 45 minutes, but ovens can vary. Note: I did not have the right pan to bake it in so I made it in a smaller one. The original pan size was a 23cm square tin. And you bake it for 30-35 minutes, so if you have it use it. This is a great dessert to make when unexpected guests show up or you just feel like a chocolate treat, as it is quick to make, and uses ingredients you have in your pantry. Preheat the oven to 160C/140C fan forced. Grease and line with baking paper a 21cm square baking tin. Place the chocolate and butter in a large heatproof bowl, place the bowl over a saucepan of simmering water, over low heat, stir until smooth. Allow to cool for 5 minutes. In a medium sized bowl add the brown sugar, cocoa powder, plain flour and baking powder. Crack the eggs into a small bowl. Add the flour mixture and the eggs to the chocolate mixture. Whisk to combine. Pour it into your prepared tin, bake for 40-50 minutes or until set. Cool in the tin for 5 minutes before placing onto a cooling rack. ​Cut into slices while warm or at room temperature. Serve with vanilla ice cream.